An octopus has eight tentacles. How many does its relative the squid have? What is the normal body temperature of a horse? What male animal has the greatest number of mates in a season? The northern fur seal, which averages 40 to 60 mates a season. How many eyes, or eye spots do most starfish have? One at the tip of each of its arms. How many muscles are there in an elephant's trunk? The elephants trunk has 6 major muscle groups which combined are over 100,000 muscles. How many times does a bumblebee flap is wings per second ? How many times a minute, does the average adult elephant's heart beat? Only 25 beats per minute. What earthly creature has four noses and over 2500 tiny teeth? 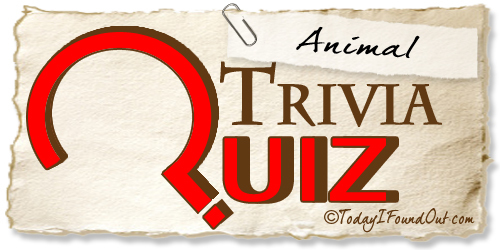 Which is the largest animal ever to have inhabited the Earth? What distance can the average healthy slug cover in a day?